At first I thought omg this is too small for my window. After playing with it for awhile part of the pole slid out from inside another. I just laughed at myself. Anyhow I love it! 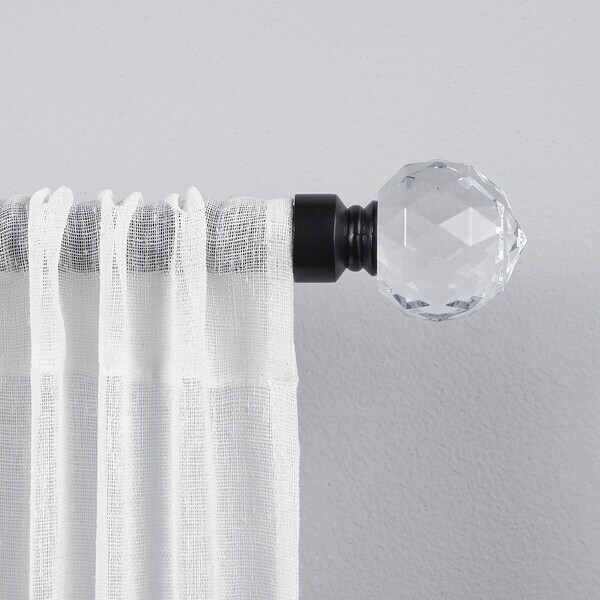 The Crystal Ball decorative curtain rod and finial set provides a glamorous touch with a matte finish rod and multi faceted, clear acrylic sphere shape finials. These finials are sure to add just the right amount of sparkle to your decor. 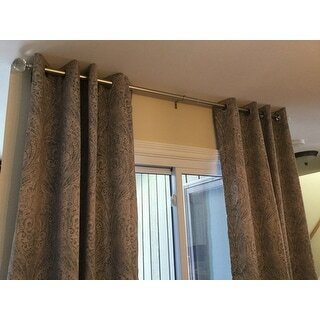 This set will provide a visually balanced appearance for your window treatments. The 2.4" diameter x 2.2" long finials will insure that your window curtain panels will remain securely on the rod. The 1" diameter iron adjustable curtain rod is designed to fit a wide range of window widths, and has a sturdy 25 lb. capacity that will support flowing sheers to thermal blackout panels. The 3.5" fixed depth projection bracket provides a gracious amount of space for fabrics to drape perfectly. 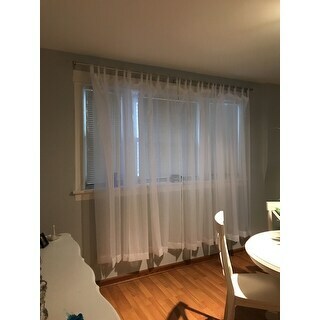 Accommodates window curtain panels and drapes that are designed with various tops, including: rod pocket, pinch pleat, grommets, tab top, or hidden back tab top. Provides an attractive accent to every window treatment in your living room, bed room, bathroom, kitchen, and kids room. Installs easily with included hardware and installation instructions. Sturdy, easy clean, no fuss, wipe clean finish will last for lifetime. This window curtain rod and finial set will add the perfect finish accent to any window treatment and adds a refined style to your home decor. 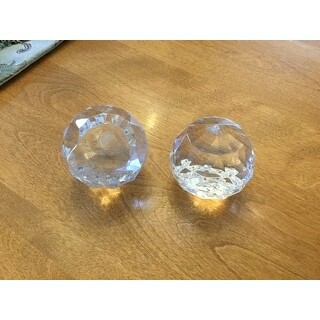 Dimensions 36.0 In. X 1.0 In. X 1.0 In. The rods are very sturdy and pretty. It added such an elegant touch to my bedroom. One of my rods was delivered with the crystal balls broken off, but customer service was very helpful. 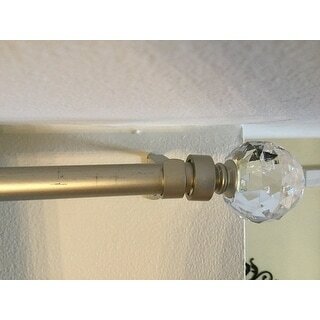 My curtain rod arrived with the finial broken off. I ended up gluing it back on, but buyer beware!! It was not packed well at all. The finials are very cheap plastic and do not screw on . They are glued on. Mine came broken in the delivery because they were not protected in the box. Pretty but not great quality. Item arrived damaged. Contacted customer service and was sent a replacement immediately but that was damaged too! It looked like it could've been a beautiful addition to my decor. Other than that, customer service went above and beyond to correct the issue. "I am interested in the 66"-120" size. Does it come with 2 brackets or 3?" This comes with 2 brackets. "The description lists three different sizes, however there are only two choices medium and large. While I can assume "M" is for the middle size and the "L" is for the largest size I hate to assume and be wrong. Can someone please confirm my assumptions and also. Is the Silver color available in the small?" The attribute names have been fixed on site.